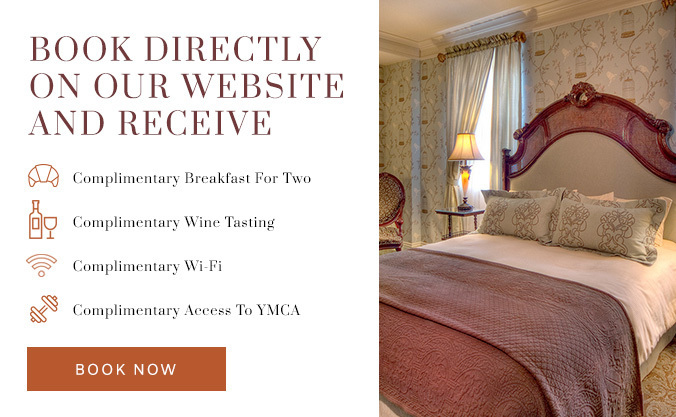 Charley Creek Inn offers more than stylish accommodations. Step into Twenty and you’ll see what we’re talking about. The namesake 1920s décor, including period photographs and paintings, sets the mood for a casual yet upscale meal. Our menu focuses on locally sourced ingredients from farms, ranches, and gardens in this agriculturally rich corner of central Indiana. Hours of Operation: Monday-Thursday 7 a.m.-9 p.m., Friday & Saturday 7 a.m. -10 p.m. and Sunday 8 a.m.-2 p.m.
Indoors and on our new outdoor courtyard, our event settings sparkle with history and originality. 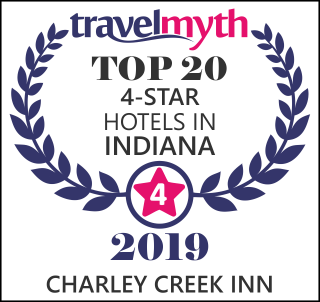 Located in the heart of downtown Wabash, the Charley Creek Inn offers attractive packages for getaways and celebrations. From wine and cheese to the sweetest treats, our shops offer a deliciously fun retail experience in the heart of downtown.